When it comes to ancient peoples and characters that stand the test of time, Norse mythology is up there with the best in the world. There can be a tendency to focus on Thor, especially since the movies have made a bigger hero of him, and that goes for this slot as well. This is one of the most popular online slots there has eve been, and for very good reason. This 5 reel, 9 pay lines game is considered to be a classic and remains a blueprint for successful casino play. The game features a bonus round and a wild symbol that doubles your winnings and scatters. In all honesty, features are not one of the strongest areas in the current slots climate for Thunderstruck. The graphics may seem outdated in the current era but they were enjoyable at the time and they still retain a certain class and style to this day. The game is now over 10 years old and the fact that it is still a popular choice for players in the modern era indicates the level of success it has seen. 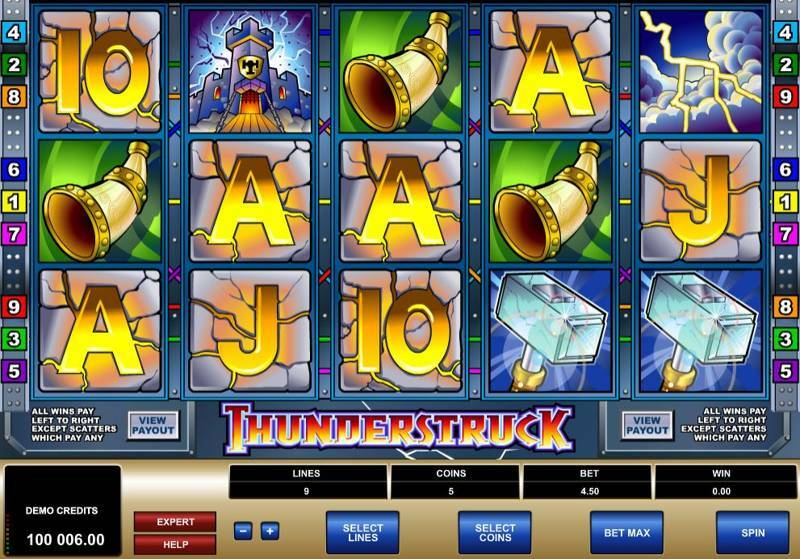 There is also a gamble feature in Thunderstruck which is worth looking out for. If you are able to choose the colour of the overturned card correctly you can double your winnings. If you try to guess the suit of the card, you can quadruple your winnings with a successful answer. 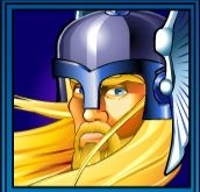 The wild symbol is the Thor symbol and it provides you with the chance to double your winnings. He can also step in for any other symbol except for the scatter, being a God and all. 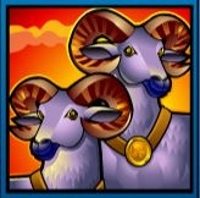 The scatter symbol in the game is the Rams symbol and if you uncover a minimum of three of these in one spin, you receive free spins. In fact, you receive 15 free spins and all of your winnings will receive a 3 times multiplier, too. If you pick up 3 more Rams during your free spin, you get to enjoy another 15 free spins with the 3 times multiplier, enabling players to receive a total of 30 free spins, which is definitely impressive.